Life began for me in ‘the Black Country’ in the West Midlands of England in the early 1930’s, the oldest of three children. We had good, reliable and loving parents who cared about us, and owe a tremendous lot to them. As a teenager, I joined the Vicar Street Young Mens’s Bible Class under the leadership of Bert Bissell. It was here that I had my first expereince of The Methodist Church, and where the Christian faith first became part of an ongoing experience. When I left the local Grammar School at sixteen I decided to train as a Public Health Inspector, and completed the preliminary stages of this training, but then I felt a calling to ‘ministry.’ This meant ending my apprentice-ship, and doing two years National Service in the Royal Army Medical Corps. Although I offered to serve in the army overseas, the powers that be, sent me to the Salisbury Plain in Wiltshire instead! For a year I then worked in a large tubular steel factory in the West Midlands and then spent four years of training at Didsbury Theological College in Bristol. My first appointment as a probationary minister was in Coventry . During this time I also served as Chaplain to the local hospital, as padre to the local branch of TocH, and joined the chaplaincy team visiting the extensive number of car factories in the area at that time. We worked under the leadership of Simon Phipps, a ‘friend’ of Princes Margaret, he later became Bishop of Lincoln. I also visited several of the working men’s clubs on a weekly basis. This would often mean going up on the stage in front of several hundred people on a Saturday night.At Christmas time they used to get me leading Carol singing – karaoke-style accompanied by the music group. At the end of that period, I was ordained at the Methodist Conference held at Liverpool in 1960. One of the people assisting at that service was Lord Soper, or the Revd. Dr. Soper as he was known as in those day. He was famous as a speaker at Hyde Park for a very long period. In 1960 my wife and I married, and went to live in Bow, East London for five years.Our first child was born there within the ‘sound of Bow Bells.’ This appointment also included two chaplaincies – the first to a Psychiatric Hospital, the other to Southern Grove, a former work house converted into an ‘old people’s home’ for the chronically sick. We were very much at home with the Cockney people and fondly remember our time in East London. Our second appointment was in rural Essex to six churches spread over a ten mile radius around Saffron Walden– at Ickleton, Chrishall, Langley Lower Green, Hempstead, and Little Chesterford. The work also included being Chaplain to RAF Debden where the RAF Police were trained and also their police dogs! Our two daughters were born during our six years there. Following Walden, we moved to Lincoln to look after two churches in in Lincoln itself, at West Parade and Burton Road: and two churches in the country,one at Hackthorn, and the other was a Methodist church that met in an Anglican Church in South Carlton. For two years, due to the illness of the vicar, I also had overall pastoral responsibility. They were difficult years in many ways because of strong secessionist movement activities in Lincoln, but there were many things of great value learnt during this period. There were three chaplaincies that I was involved in – as a psychiatric chaplain( again) at St. John’s, then ‘The Lawn’ hospital, and alongside this I also visited places as an industrial chaplain. One extremely important aspect of ministry that came during that period was the formation of Prayer12. which basically consists of remembering people in need at midday( or midnight) briefly in prayer. It has regularly formed part of my ministry since then to all kinds of people. The ‘call’ to Shetland came out of the blue. At first we thought it would be too remote a place to go to, but when the oldest member of our family said to us ‘why not?’ we then decided to look into it, and responded to the ‘challenge.’ It was a big jump in responsibility, from being a junior minister, to taking on the role of being ‘Chairman’ of the Shetland District, which meant at that time having oversight of some twenty three small churches, or centres of Methodist Worship stretching from Fair Isle in the South to Haroldswick on Unst, which is Britain’ most northerly church. We were there eleven years, and it was a terrible wrench to leave. My last appointment before ‘retirement’ was at St. Alban’s as Superintendent Minister.We were there nine years, and it was quite an adjustment after the Shetland Isles! It was a very different style of ministry, calling on very different skills. Perhaps the strongest aspect of our work there was amongst the Afro-Caribbean community of the City, the majority came originally from St.Vincent and St. Kitts and Nevis – with other members originally from Ghana, Zimbabwe, Jamaica, and other African nations. We had a wonderful congregational mix- not only of nationalities, but with people from every walk in Society. It was also a time when a group of us spent a great deal of time in good colleagueship together: John Glover, now retired, and Martin Turner, now at Westminster Central Hall, our total ministry adding up to over twenty five years.During this time I served as Mayors Chaplain, and preached at the mayoral service in the Abbey. In 1997 I became a supernumerary minister.We moved to Nottingham, and we’ve settled very happily here. We have made good friends, we have a fine garden to look after, and needless to say I am kept busy – preaching or celebrating Holy Communion on about thirty Sundays in the year. Chaplaincy work includes monthly visits to an old peoples’ Residential care Home and a Day Care Hospice. I have also served as a Chaplain to Nottinghamshire Police, City Division for the last ten years. I am no-where near as busy as I was in ministry with full church responsibilities,I find my present roles very rewarding. There are many leisurely things we are able to do together now which also give us a great deal of pleasure, and visit our family more often. We are thankful to God for all that we have. 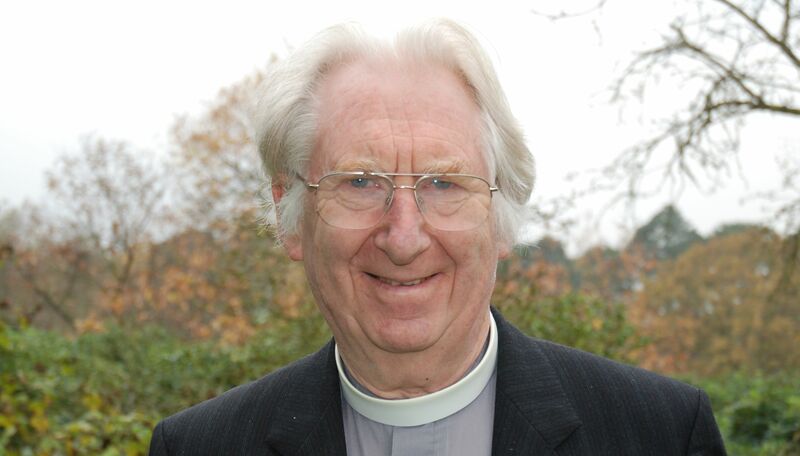 This is a very potted personal history of ‘ministry’, with huge chunks missed out, but if anyone would like to recall any experiences connected with any of the places mentioned, or anything else relevant I will be pleased to hear from you, especially as I enter my fiftieth year of ordained ministry.David. Hi U2. Was reading your `Story` and noted that Lord Soper was at conf. Liverpool when you were ordained. We were fans of his and indeed I went to Hyde park all alone , in the end of 80`s and..I.dared to ask a ?. He said Take the little Scottish lady nearer the front; my legs were weak under me . At the end the great man came and patted me on the head and said that it was a very good ? I have never forgotten the moment but have struggled for years to recall Exactly how I phrased it !! Often it is there in the background as I am constantly learning about Science/ Faith and Science & Art . Just thought I would like to share that with you as you would understand. Great to have your reminiscence of Soper, Roberta. Will contact you some-time soon. Hope all goes well, we’re fine. Greetings to all friends in Shetland. David and Pauline.